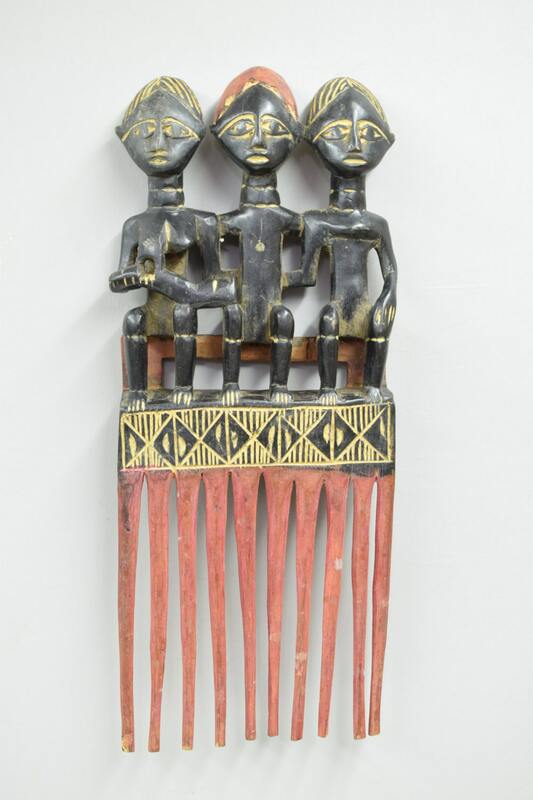 This is a vintage Hand Carved Ashanti Triple Female Wood Comb from Ghana. 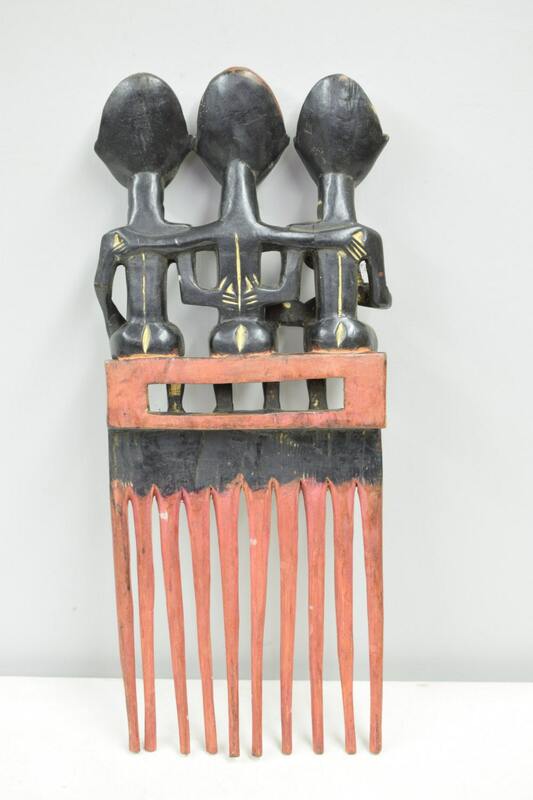 Among the Ashanti, combs were given by men to fiances, wives and girl friends as an act of devotion and commitment. The Ashanti’s long association with Europe is evidenced by the frequent use of western symbols even in traditional art from the 19th century and before. By keeping a woman's her hair well kept and coiffed, it demonstrates that she is wealthy and never needs to carry freight on her head. Thus the comb becomes a mark of prestige to its owner. This comb would be a lovely addition to your home or collection. Each Comb has a unique design.